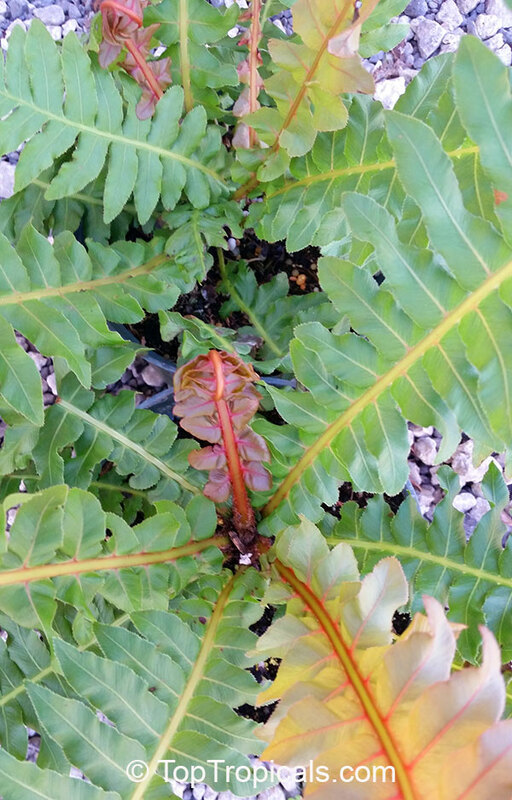 This is one of the better known and more common species of Blechnum in warmer climates. 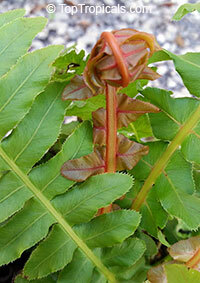 It forms a small trunk. 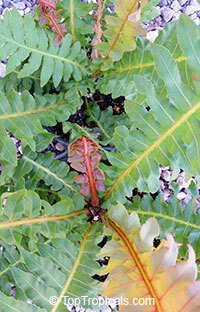 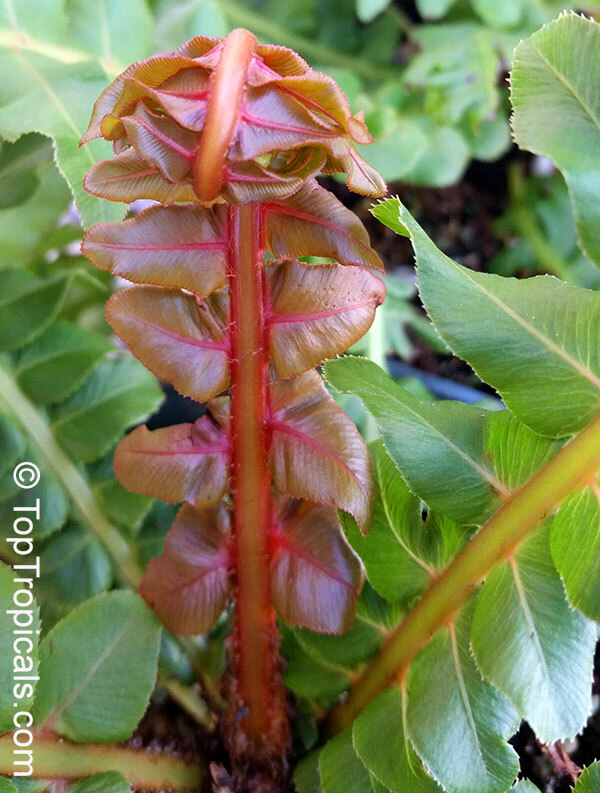 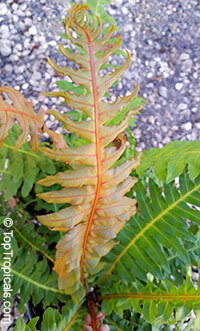 On some forms, the new fronds emerge a beautiful pinkish-red, making the fern very attractive. 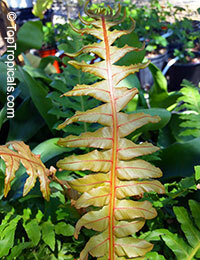 Does not like excessive watering, but must not dry out, a free draining potting mix and a high amount of sunlight. This fern is tropical and is hardy to USDA Zone 9. 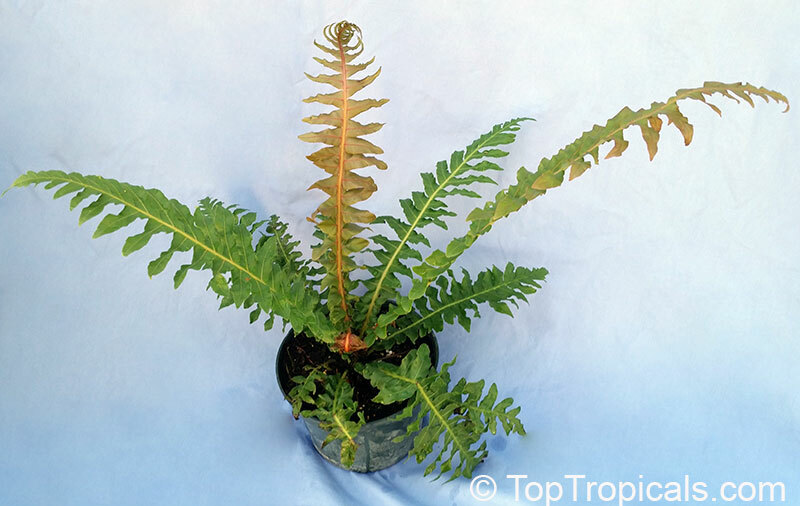 Close related spacies Blechnum moorei - Brazilian Tree Fern is a compact grower and makes a great house plant. 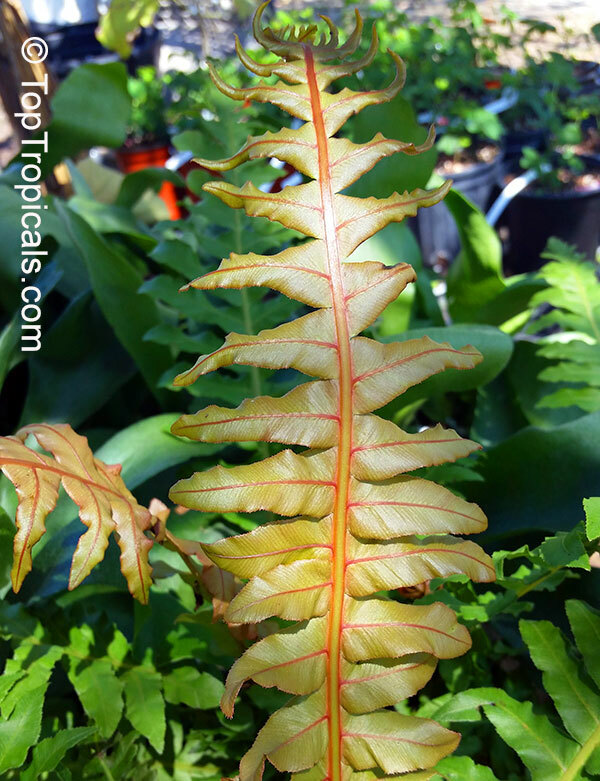 Brazilian Tree Fern is a compact grower and makes a great house plant. 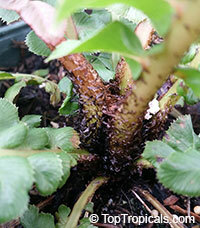 It forms a small trunk. 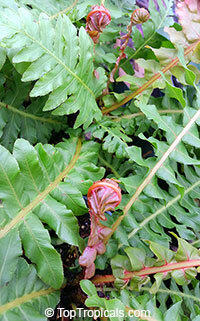 On some forms, the new fronds emerge a beautiful pinkish-red, making the fern very attractive.